For your information, our office will be closed from Jan 27 (Fri)-30 (Mon) for Lunar New Year’s Holiday. Business will resume on Jan 31 (Tue). 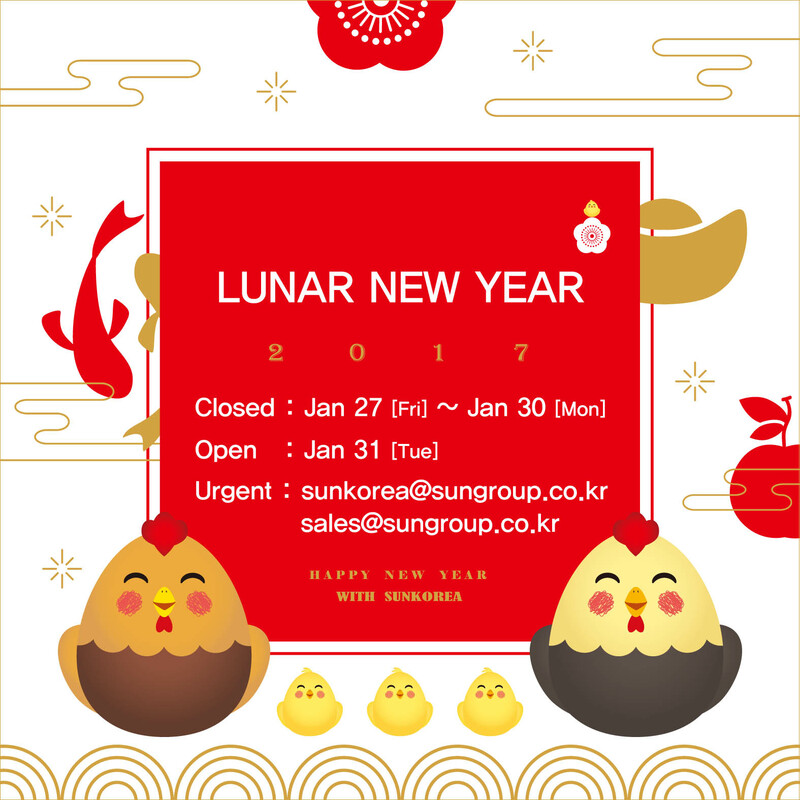 If you have any urgent works, please send them via our email (sunkorea@sungroup.co.kr / sales@sungroup.co.kr).